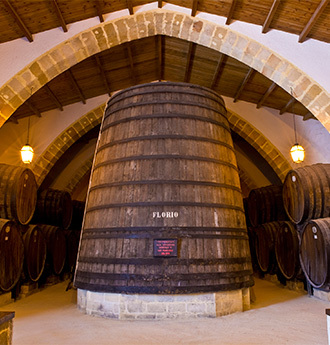 Florio Wineries are located in Marsala, Sicily and represent a very fascinating "Italian style" location. From here once the Florio vessels departed, full of this precious nectar and here, today, the world’s most popular Marsala wine is produced. 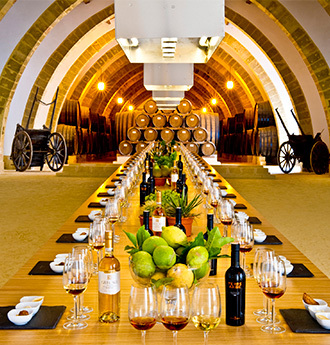 The cellars extend over 7,400 square meters and surprise visitors with their grandeur. 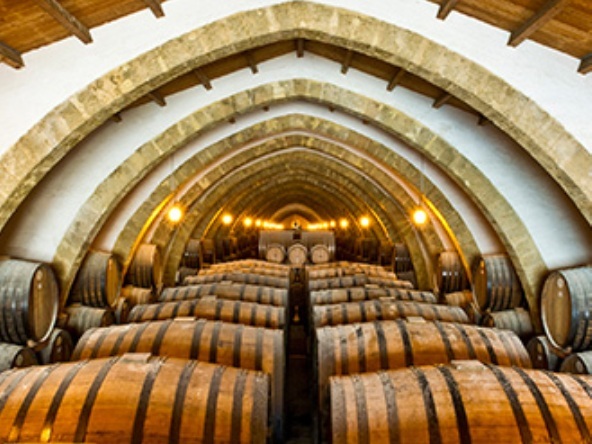 Here are lined 1400 barrels and approximately 600 barrels and casks of different sizes, arranged along well 104 arches. 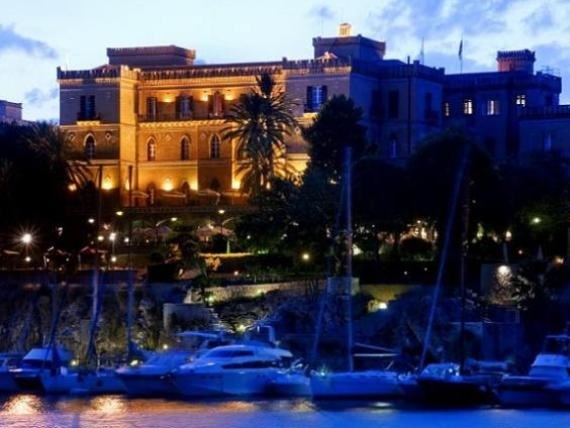 Thanks to its favorable position, to the mild climate and to its beautiful scenery and architecture, the Florio Wineries are the perfect location all year round for conventions and corporate meetings, business lunches, cocktails, gala dinners, incentives, guided tours, fashion shows, exhibitions, presentations of products and services. 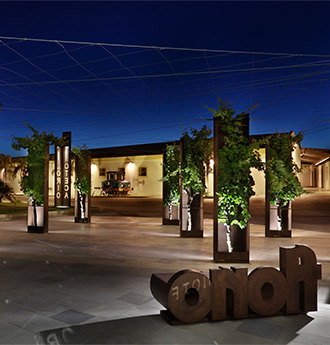 Cantine Florio are equipped with 6 historic hall-rooms. Connected one to another, 3 hall-rooms can accommodate up to 350 people seated. 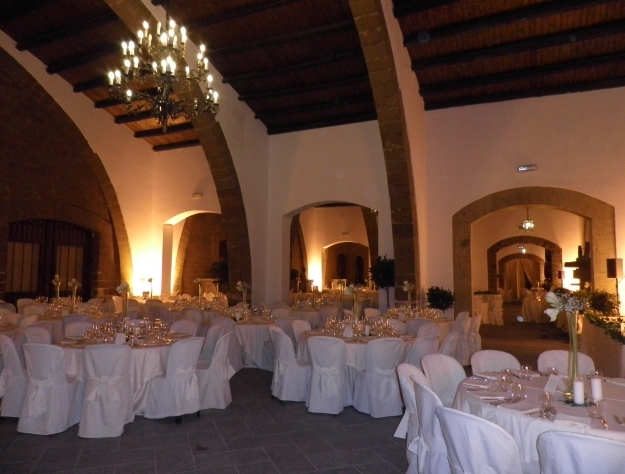 The hall-rooms, all equipped with the hi-tech technology, are located between the basement and the historical building to give clients the possibility to organize events of different types. 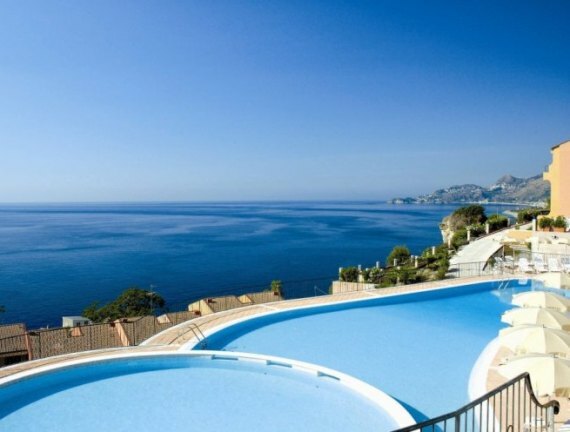 The range of services and technologies, the magnificence of the place and the experienced team make all events unique and unforgettable. 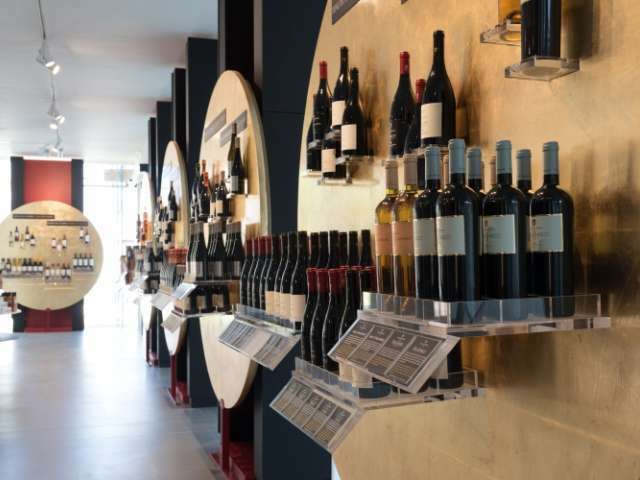 Go Wine 2018 - 3 "footprints"
Florio is the most famous Marsala wine brand in the world. 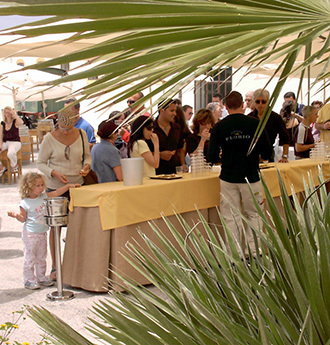 Cantine Florio are recognized as destination of excellence in Sicily and welcome every year tourists from around the world. Entering the cellars you can breathe the atmosphere of the ancient nineteenth-century winery. 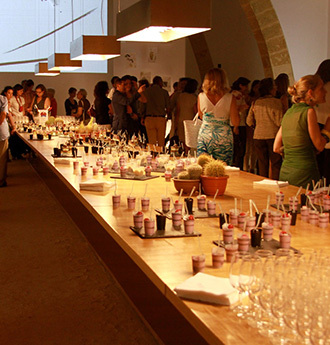 The perfume of Marsala and the charm of Southern Sicily. 3 halls may be connected hosting up to 350 people. Tensile structure in the atrium for 1,000 people seated. The Mediterranean garden for 2,500 standing people' events. Guided tours in the cellars. 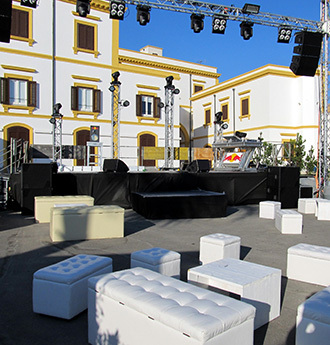 Halls are also available for organizing aperitifs, technical tasting events, fashion shows, outdoor cinema and entertainment shows. 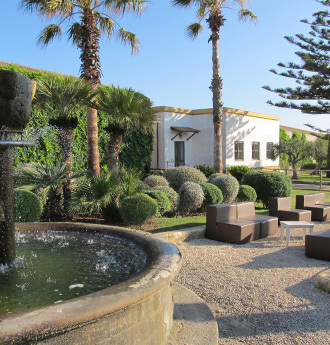 The only winery in Sicily located in such an important historical site. The project is unique and studied in Architecture University Faculties. NOTES: Tensile structure on demand for meeting up to 1.000 seats. NOTES: On request interpreters, flower decoration, photoshooting. music, wine shop, babysitting, kids area. 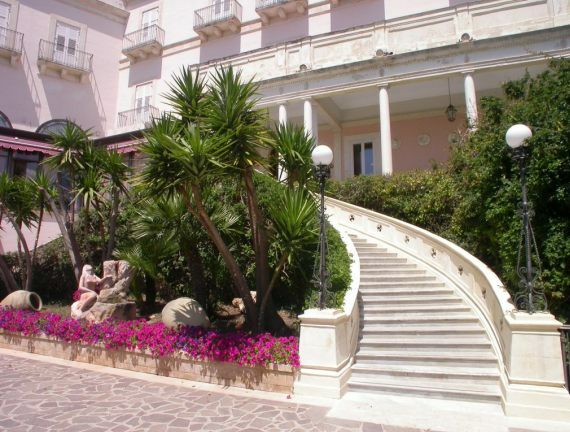 NOTES: Historical rooms and the garden can be used for lunch or gala dinner. 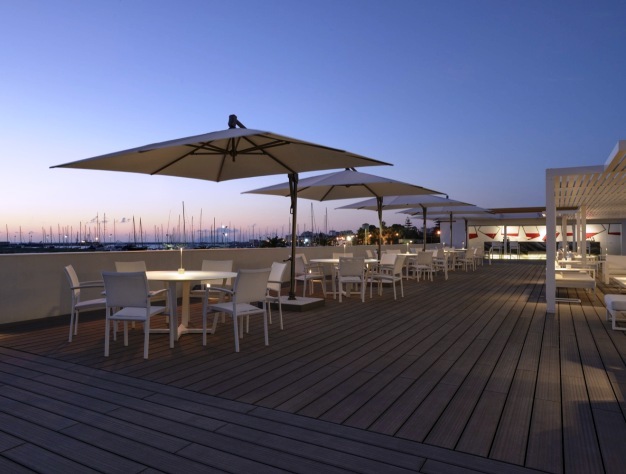 The terrace is available in the summertime.